A compact high performance machine takes the strain out of inserting both our plastic eyelets and self-piercing metal eyelets. Aimed directly at the Banner Industry. This cost effective machine helps take the strain out of what can be a tedious task. 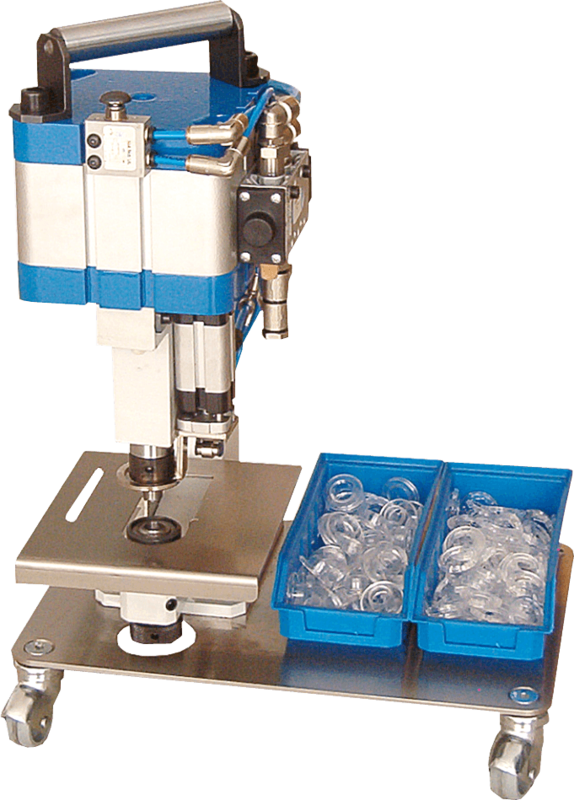 Totally air operated, will in a single action punch out a hole in your material whilst simultaneously setting the eyelet or grommet. Sets our plastic PolyGrommet range and metal SP Range. Ideal for vinyl banners and other plastic material. We can supply an appropriate compressor if required. Available on convenient wheeled trolley or bench mounted.